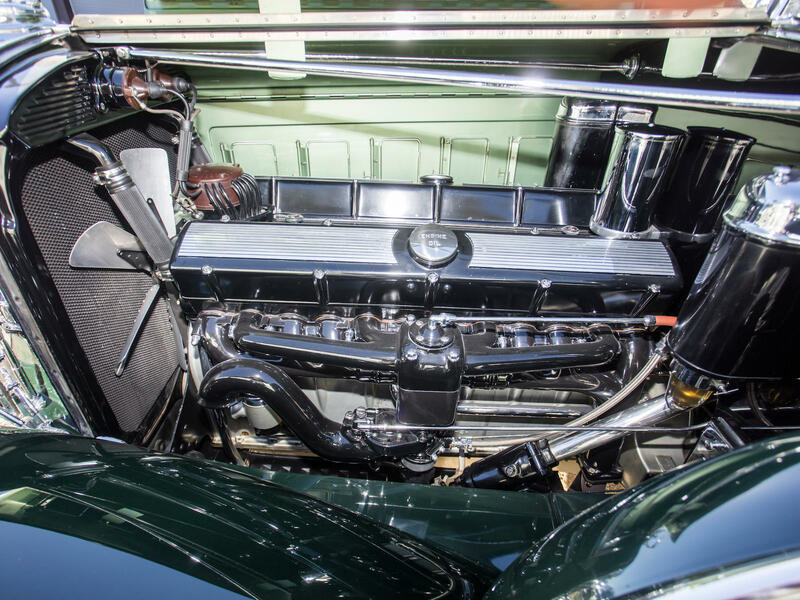 Introduced to great fanfare at the 1930 New York Auto Show, Cadillac’s V-16-powered Series 452 models were designed to compete with the finest automobiles in the world. The sportiest body choice from Fleetwood was the roadster, style 4302, and today fewer than 10 examples are said to remain. 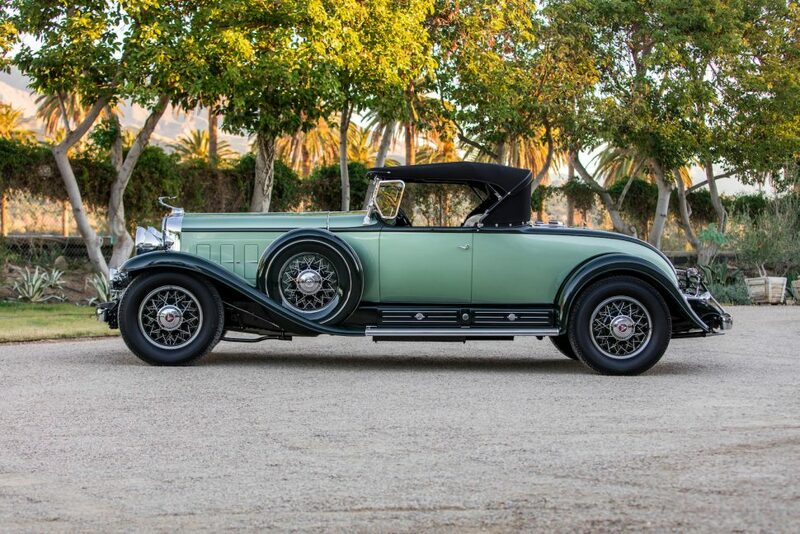 Chassis 7-952, an early production 1930 Cadillac V-16 roadster, is described as one of the best, and bidders at the Bonhams Amelia Island sale agreed, propelling the lot to a fee-inclusive $1.19 million and placing it first in the sale’s top 10. Cadillac’s V-16 engine — designed by Owen Nacker — produced 161 horsepower and quickly earned a reputation for its smooth and silent running. As Walter M.P. 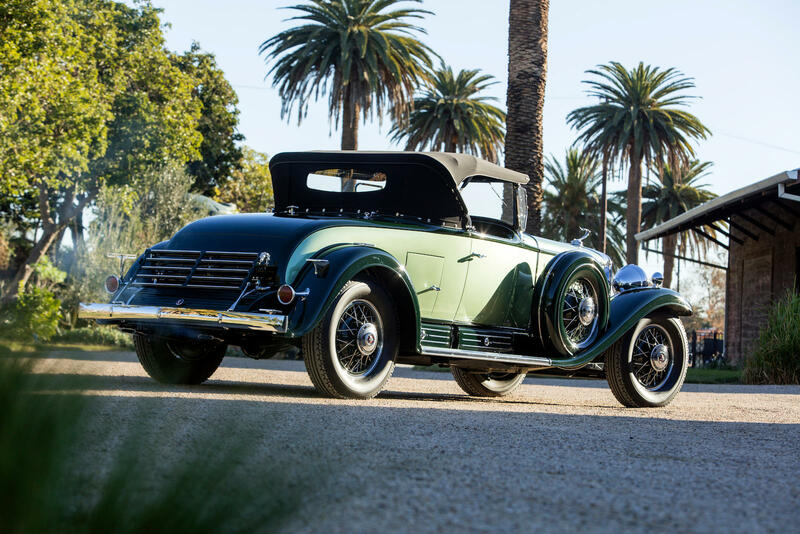 McCall wrote in 80 Years of Cadillac LaSalle, “It was the first automobile engine to bear the mark of a stylist,” and featured hidden wires, polished aluminum, and glossy enamel and porcelain throughout. Like the rest of the car, regardless of body style fitted, it was a clear statement that this was no ordinary automobile and no ordinary owner. Though the country was already feeling the impact of the Black Tuesday stock-market crash (which took place on October 29, 1929), sales of 1930 Cadillac V-16 models were initially brisk, with the factory producing 22 Series 452 models per day just a few months after the model’s January introduction. By the fall of 1930, however, sales crashed, and Cadillac built just 54 V-16 models in October. Chassis 7-952 was ordered new by William C. Bryant of Detroit, Michigan, who took delivery of his 1930 V-16 roadster at Cadillac’s Detroit Assembly Plant. Bryant kept his Cadillac into the 1950s, when the car sold to Wilbur Sanders, also of Detroit. Sanders kept the car for roughly 30 years, and when the Cadillac was purchased by its third owner, Richard Sahlin, it had never been restored or even disassembled. Seeking to show the car, Sahlin funded the first restoration in the late 1980s, with the roadster making its CCCA show debut in 1990. Under Sahlin’s care, the Cadillac earned its CCCA Senior award and took a class win at the 1991 Meadowbrook Concours d’Elegance. Shortly after, it was acquired by Pennsylvania collector Dr. Joseph Murphy, who later sold it to a buyer on the West Coast. 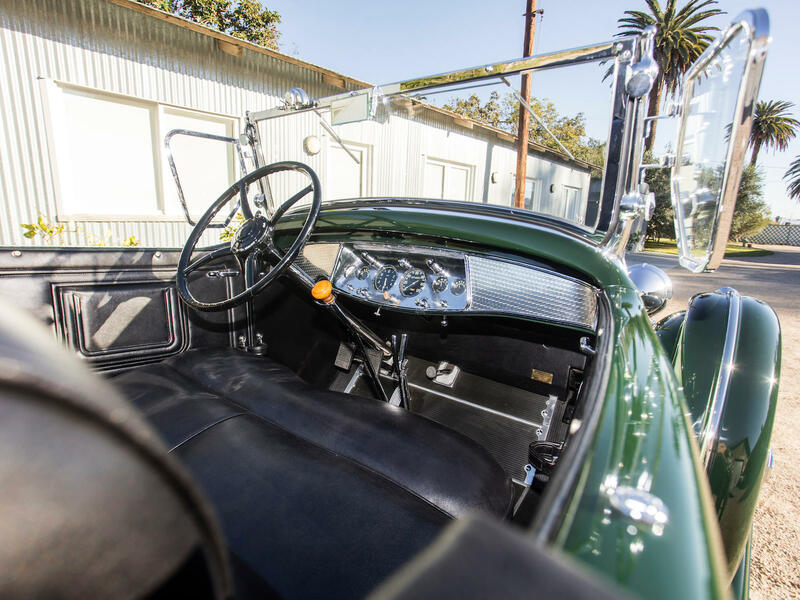 Under this owner’s care, the car was briefly loaned to the Petersen Automotive Museum in Los Angeles and shown at the 1998 Pebble Beach Concours d’Elegance. The Cadillac sold to the consignor circa 2014. Since then chassis 7-952 has received a new black leather interior, fresh paint in the original colors, a new top, and a mechanical freshening. As such, the decision on how to use the car is up to the new owner, as the V-16 roadster is equally suitable for tours and shows alike. 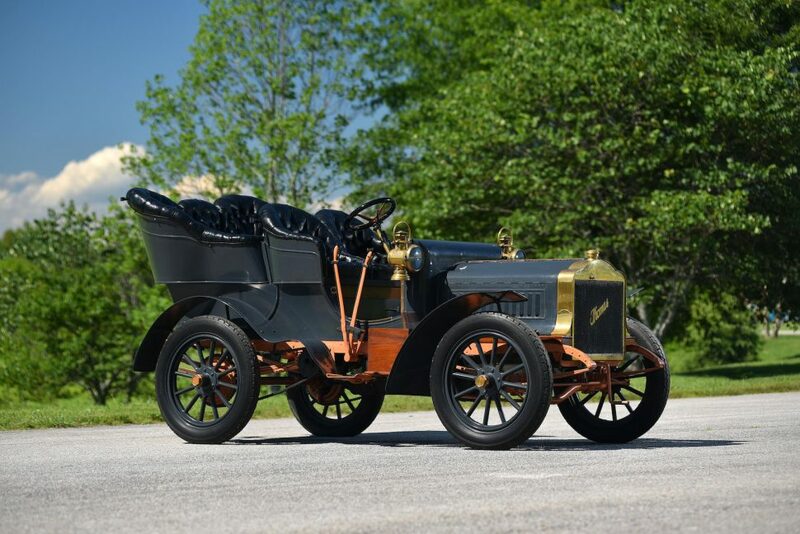 1904 Thomas Model 22 “Flyer” rear-entrance tonneau. Other cars in the top 10 included a 1969 Repco Brabham-Cosworth BT26/BT26A, which sold for $1.105 million; a 1913 Mercer Type 35J “Raceabout,” which sold for $896,000; a 1914 Simplex 50HP “Speedcar,” which sold for $885,000; a 1904 Peerless Type 8 Style K 24HP Four-Cylinder King of Belgium, with coachwork by the J.M. Quinby Company that sold for $698,000; a 1998 RUF Porsche Turbo R, which sold for $626,500; a 1904 Thomas Model 22 “Flyer” rear-entrance tonneau, which sold for $489,000; a 1929 Bentley 4½ Liter sports tourer, with coachwork in the style of Vanden Plas that sold for $472,500; a 1908 Welch Model 4-L seven-passenger touring, which sold for $456,000; and a circa-1907 Tincher Model H seven-passenger touring, which sold for $423,000. 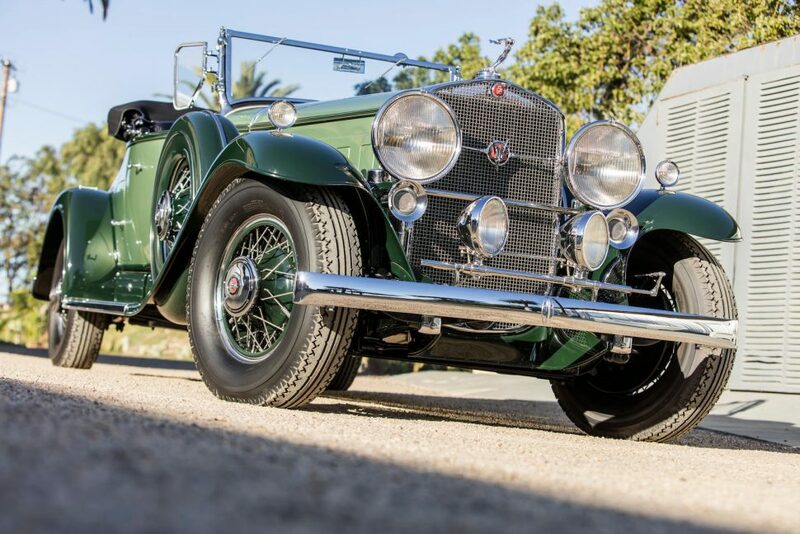 For complete results from the Amelia Island sale, visit Bonhams.com.